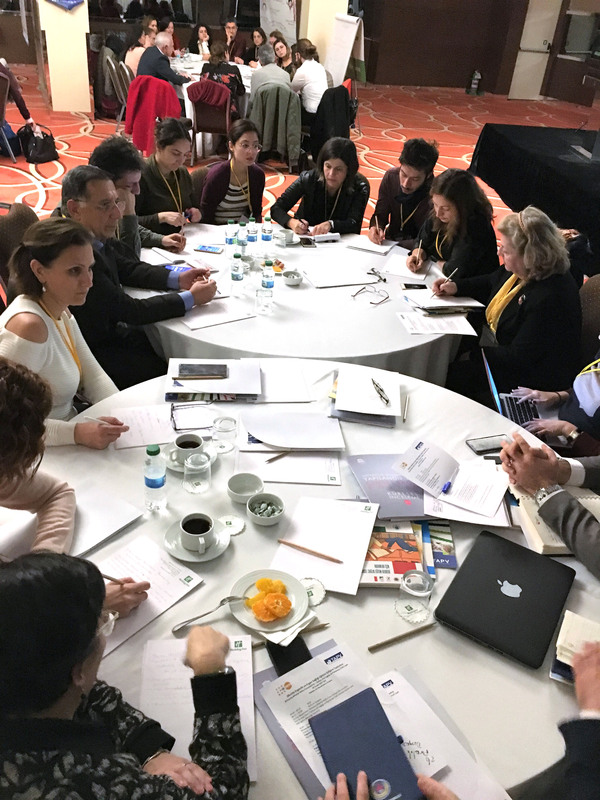 The meeting was organized with the objective to develop the curricula of school-based educational programmes for adolescents and to empower service providers with regard to adolescence health and reproductive health in order to improve the services provided by psychological advisors and counsellors in schools. Dr. Gökhan Yıldırımkaya, Productive Health Programme Coordinator of the United Nations Population Fund (UNFPA), who made a speech in the panel session of the meeting, said: ‘’Due to lack of knowledge and insufficient number of counselling and health service units, we cannot sufficiently serve the adolescents who constitute an important and an ever-growing group in the population. Counselling and health services provided in youth-friendly educational programmes specifically tailored to the age group are given priority in schools. Looking at the history of health education in schools in Turkey, we see that the year 1992 stands out as the year in which the physical changes in adolescence, problems young people experience in this period and probable solutions were included for the first time ever in the curricula developed for science classes for sixth graders; up to that year such a subject had not been taught in schools. The Health Services Office under the Ministry of Education and the Human Resources Development Foundation carried out the project of ‘’Consciousness Raising in Adolescents Regarding Health Matters’’ between 2001 and 2005 with the support provided by the United Nations Population Fund (UNFPA). The project’s science board determined the subjects the project would focus upon in the educational programmes for primary schools, which included general information concerning health issues and specific information regarding reproductive health. With this project the Ministry of Education argued for more attention to the health of adolescents." 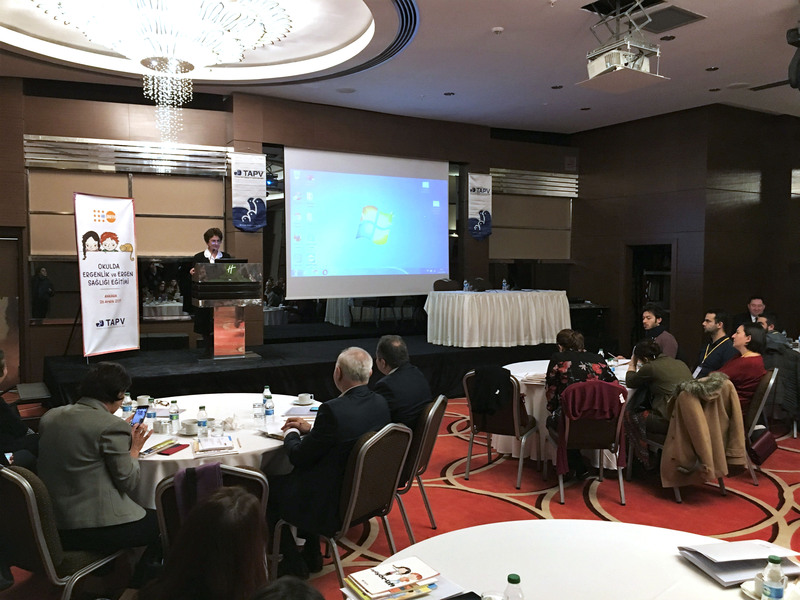 Ms. Nurcan Müftüoğlu from the Turkish Family Health and Planning Foundation also made a speech during the panel. 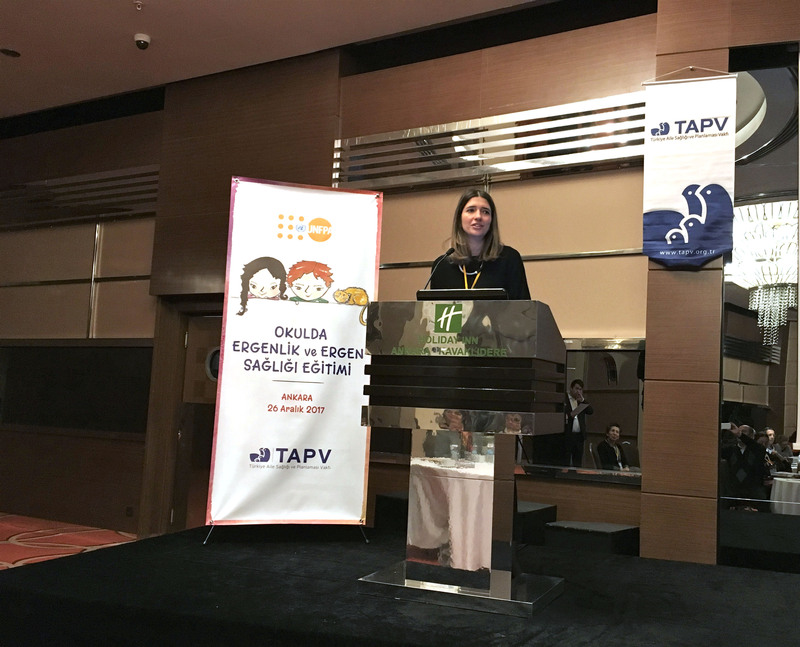 In her presentation Ms. Müftüoğlu said that young people regard sexuality as something immoral and therefore prefer, in adolescence period, to discuss their sexual concerns with their friends instead of seeking information in their family circle. She further said that young people should be given opportunity to establish their own control mechanism through educational programmes concerning sexual health tailored specifically for them, instead of keeping them under control by adults. After the panels, the participants held discussion sessions in the groups set up with special focus on topics such as ‘’supporting adolescents in educational settings relating to social and emotional upskilling’’, ‘’supporting young people through school-based adolescent health programmes’’, ‘’adolescent health approach based on children’s rights’’ and ‘’practical approaches to educational health programmes for adolescents’’. In conclusion, the work groups worked out concrete proposals and activity schemes which were then projected into concrete steps and integrated into reports to be shared with the related stakeholders.